Increase transmission durability with either stock or Billet input, output and intermediate shafts and hubs. 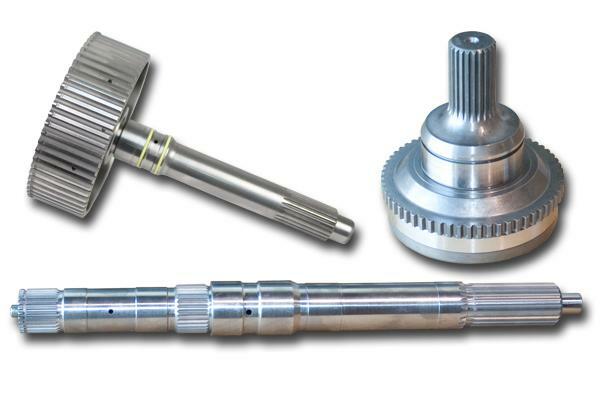 Billet shafts, that are rated up to 300M and 300 Maraging, are designed to take the shock from high horsepower and heavy loads – highly recommended when using our Triple Torque Force converter or for any truck making over 500RWHP. Replacement stock shafts and hubs are also available for the less aggressive trucks.